But I ended up getting the French Onion Soup Burger. This comes topped with gruyere cheese, fried onions and red wine onions in a parmesan crusted bun with some onion soup au jus for dipping. I ordered mine medium rare and without the red wine onions because they sounded terrible. 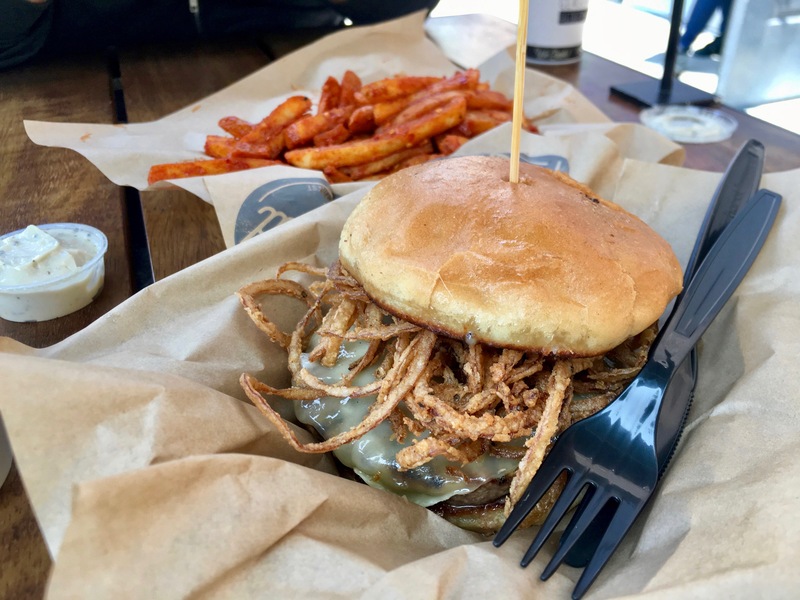 I also had a side of fire fries (loaded with their wing spice and a side of blue cheese dressing) because clearly a stack of fried onions on my burger would not be enough. Everything about the food was delicious. From the amount of crispiness in the onions to the meltiness in the cheese to the fieriness in the fries. And as I ate, I couldn’t help but feel like I was getting a gourmet burger experience at a fast-casual price. 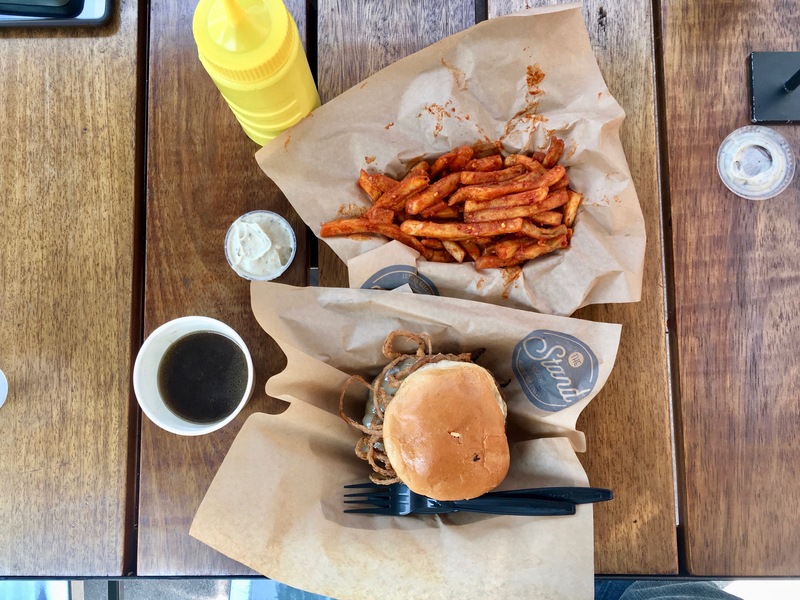 Sure, the patty may not have been as thick as some of the gourmet spots, but I’ve also had my fair share of annoying un-filling gourmet burgers out there. Most importantly, interesting toppings that seem to be well-balanced at The Stand are not just limited to the French Onion Soup, but to a variety of options, including a rotation of specials. As you can tell, I was a fan of The Stand and wouldn’t be surprised at all if it continued to expand its mini Southern Californian empire.